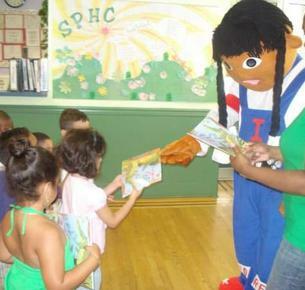 Our role model literacy mascots bring smiles to many faces. 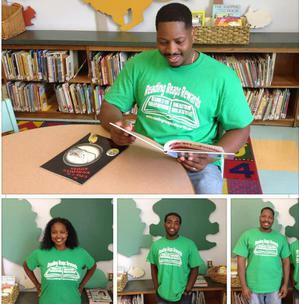 They dance, clap high fives, and give book donations to children in programs who need them the most. Children are excited to see the characters Reesie Reader & Bookie visit them live from the childrens books Storytime Friends & The Case of the Withering Books. 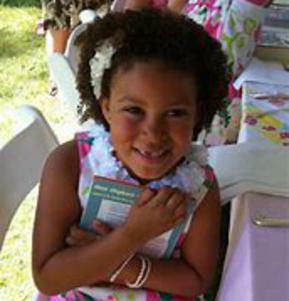 If you love children and have a passion for reading The Reesie Reader & Bookie Literacy Club would love for you to volunteer your time in spreading joy and love to the children we serve!